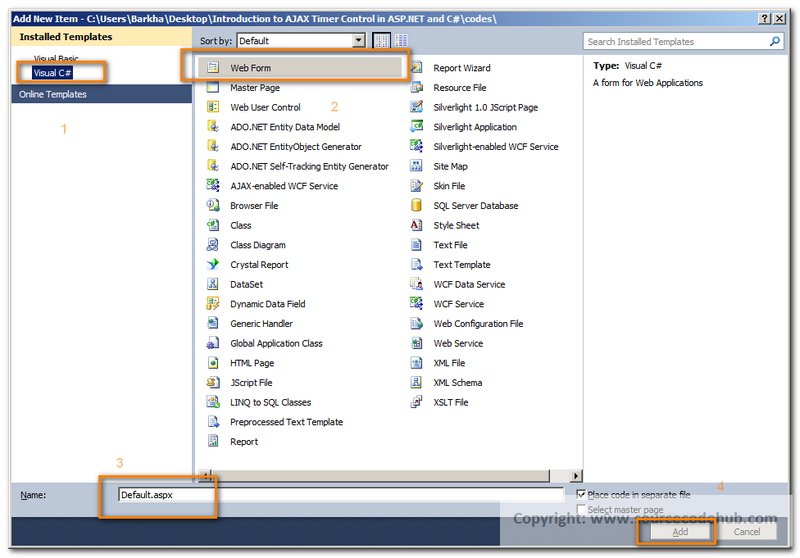 Here Pawan Kumar will explain, How AJAX Timer Control in ASP.NET using C# with screenshot and detailed example. This will help the beginners to learn and implement and make use of very useful ASP.NET AJAX Timer Control. 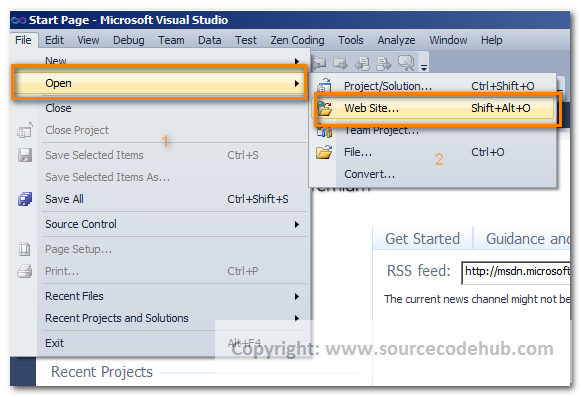 In previous post I explained How can we Insert, Update, Delete Records in ASP.NET Server Control ListView in ASP.NET with C#, How to Convert Numbers to Words String in ASP.NET using C#, Set meta tag in asp.net programmaticaly for creating seo friendly websites,How to validate or check whether checkbox is checked or not using ASP.NET and jQuery with example. Now in this article, I will introduce you to the AJAX Timer Control. This Control can be used to initiate a refresh of an UpdatePanel in a certain timeframe. 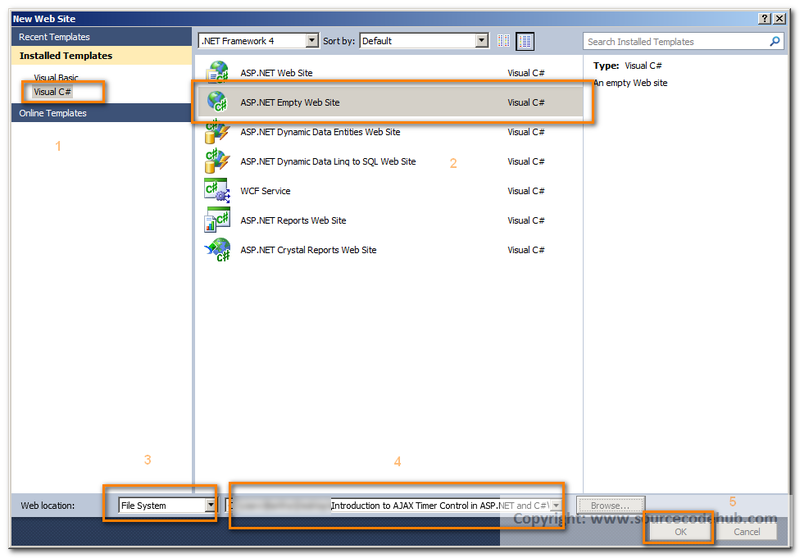 One important thing to know using ASP.NET Timer Control we are also able to refresh the entire page . This simple examples illustrates how the Timer Control works and how to implement it. Step 3: Add the ScriptManager(remember there should be always one ScriptManager on ASPX page) from the page. Please pay attention to the "ontick" and "interval" attributes of the Timer Control. The interval is in milliseconds, so every 5 seconds, the "UpdateTimer_Tick" method will be called. Also note the "eventname" attribute of the Trigger. This tells the page what is going to cause (or trigger) the UpdatePanel to update. Step 5: Finally, we will add logic to the code-behind. We are simply going to tell it to display the current time in a Label. This way we can see exactly when the UpdatePanel is being refreshed. So, In this tutorial we have learned, How to use AJAX Timer Control in ASP.NET using C# with detailed explanation. if you have some suggestion, question, request on How to use AJAX Timer Control in ASP.NET using C# with Example and Source Codes.